I got a juicer for Christmas and can’t get enough. I love juicing, but there is a right and wrong way to juice! Juicing has gained notoriety for its ability to energize, alkalize, detox, and rejuvenate both inside and out. Green vegetable juices fill you with beneficial nutrients and antioxidants. Proponents claim juicing has the ability to improve skin health, reverse degenerative disease and even slow down or reverse gray hair! I am a big fan of green juicing, but there is a right and wrong way to juice. Let’s take a look. Go easy on fruit juices. Be especially cautious with tropical fruits like mango and pineapple, which are very high in sugar. Fruits offer plenty of antioxidants and beneficial enzymes, but they are best eaten whole with their fiber. I don’t recommend regular juicing with fruit, especially if you are on a weight loss plan. Pineapple mango juice sounds delicious but contains almost 8 teaspoons of natural sugar. Man cannot rely on juicing alone. 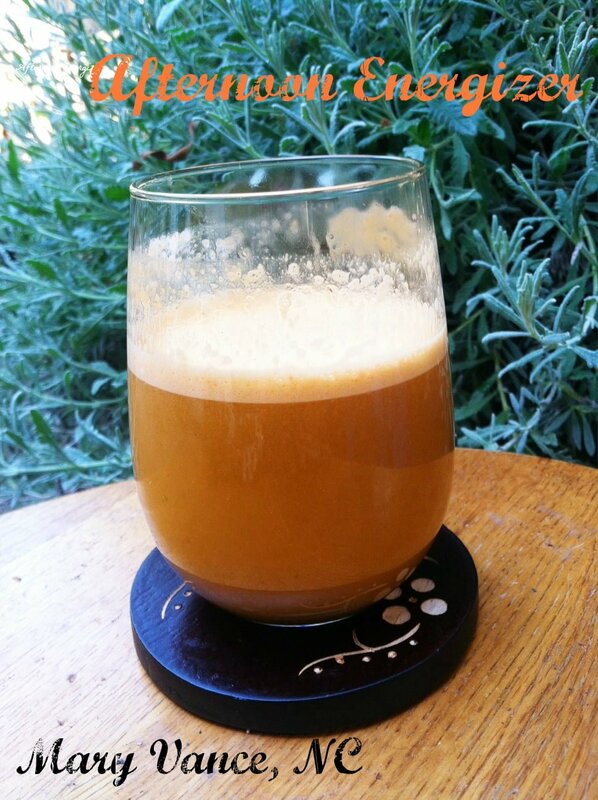 Vegetable juice should be used as an accompaniment to a meal or in between meals (great afternoon energy boost! ), but you still need the fiber from whole vegetables, and juice doesn’t provide this. With that said, juicing makes it easier to absorb all the nutrients from the vegetables you’re juicing and makes it easy to get a wider variety of veggies you may not otherwise eat. Juice raw cabbage, collards, bok choy, kale and broccoli SPARINGLY. All cruciferous veggies are goitrogenic, meaning they contain substances that suppress thyroid function when consumed raw. They may also cause gas, bloating and stomach upset in some folks. Don’t get me wrong; the cruciferous have wonderful health benefits when cooked or lightly steamed. Cooking deactivates the goitrogens. Raw spinach, beet greens and chard contain oxalic acid, which can irritate the the mouth and intestinal tract and block iron and calcium absorption in some folks. Oxalic acid has also beed linked to the formation of kidney stones. Carrots, rich in beta-carotene, beneficial for eyesight, and also a great liver/gall bladder cleanser. Use caution with carrot juice, as it’s also high in sugar. Spinach, high in iron, very alkalizing, and great for skin health. Herbs are great, too; use parsley, cilantro (helps to chelate heavy metals), and ginger (good for digestion and cleansing). Throw in some raw garlic if you’re brave or want to ward off vampires. It’s great for immune health. I love adding the juice of 1/2 a lemon to most of these – it adds a nice tang (remove the peel before putting it in the juicer). And peeled fresh ginger works great in the juicer too. I do love fresh ginger in juices–great cleanser and great for digestion, too. What do you know about lemongrass? Is it good to juice with? Juice with what? What kind of juicer? Thanks. You’ll find a lot of conflicting info on the topic. If you don’t have pre-existing thyroid issues, it’s probably fine. If you do have hypothyroid, avoid raw cruciferous, or at the very least use it sparingly in juicing. I love to eat raw cabbage. Whoops! Rachel, if it doesn’t cause gas & bloating, and you don’t have hypothyroidism, it’s probably fine (unless you’re eating like several cups daily). They say that the nutrients in many vegetables are better absorbed by the body if a fat/oil is eaten with them. I’ve long wondered if that shouldn’t be the case with juicing. I think about gazpacho, the wonderful Spanish soup, which is basically blended/juiced fruits and vegetables combined with olive oil, vinegar, and salt. Based on what I know, it would make sense to add fats to a juicing regime. Thoughts? This is an excellent point. You are correct that consuming fat with fat soluble vitamins (A, D, E, K) enhances absorption. So yes, adding fat to green juice will enhance absorption of vitamins A & K present in the dark leafy greens. However, I don’t think it’s particularly necessary: You’ll still get more than average benefits, and of course the micronutrients abundant in juice that are so lacking in our diets. The other big issue is that juice is very easy to absorb since there are no fibers to break down, so most people will attain more nutrients from juice than eating whole fruit/vegetable. It’s also raw, so you get the enzyme benefits. Why is this the same article on the mindbodygreen.com website? Are you affiliated with them?? Yes, I ran it on the mindbodygreen site years ago. I’m not “affiliated” with them per se but have submitted articles there in the past.